To fall in love with a place is to taste its food, listen to its music, explore its landscapes, and behold its art. 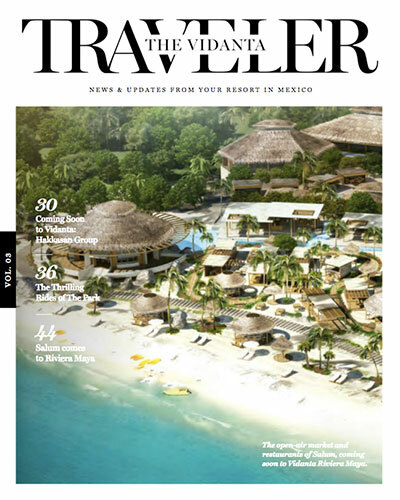 At the newly opened Salum, a Tulum-inspired seaside village and the newest addition to Riviera Maya, you can do just that. And at Bazarte, the makers fair held on June 9th and 10th at Salum, all of those different ways to fall in love with Mexico were proudly on display. Bazarte is a celebration of Mexican art and design, a showcase of those who have lovingly kept traditional techniques, heritage-inspired designs and aesthetics, and time-honored craftsmanship alive, all while breathing new life and a new perspective into their art form. The first-ever Bazarte was held at Salum in order to commemorate the grand opening of this beautiful new bohemian marketplace and stretch of al fresco restaurants. You may have missed this amazing inaugural event, but don’t worry—we’re here to take you through all of the excitement. 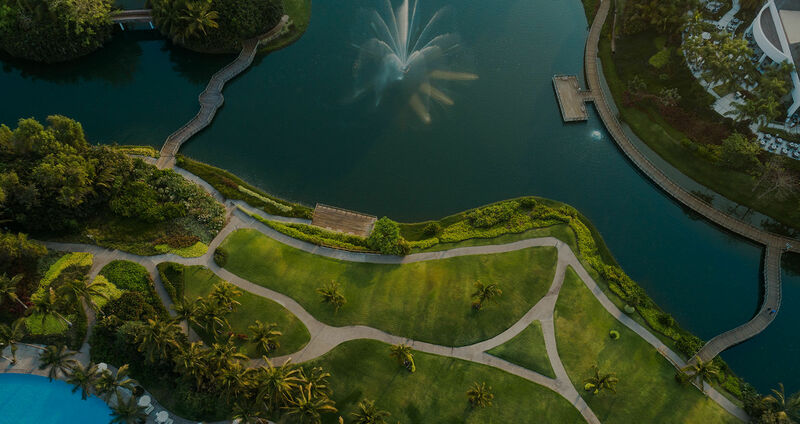 And rumor has it that there will be future iterations of this fun bazaar at other Vidanta Resorts in the months to come! Bright swimsuits by Virginia Ontiveros Swimwear. Bazarte kicked off on Saturday at 9 AM in the stalls and stores of Salum’s Mercado México. 22 different Mexican designers and artists showcased their wares throughout the day. Many of these exhibitors either employ environmentally sustainable methods to create their pieces, are actively working to preserve cultural traditions, or aim to support local development through production of their products. Among these featured brands were Sarah Hamui Textiles, which works with artisans from the Tzotziles, Tzeltales, and Nahuas communities to incorporate ancestral techniques into modern home décor, and Artezahnia Crafts, which creates fine goods with the goal of continuing traditions and skills that are vanishing in Mexican culture. Many of these brands will have their amazing products available for purchase at Salum all year long. After a day filled with shopping, Salum’s visitors were invited to celebrate the village’s opening with a Moonlight Party, featuring traditional pre-Hispanic dance and musical performances, live DJ, and fireworks. 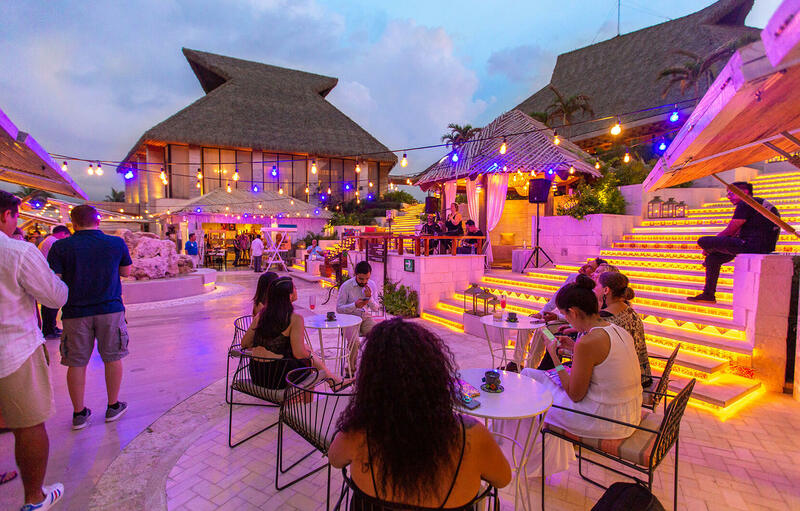 Guests strolled through the scenic beachside paradise, checking out new restaurants like the romantic Fuoco or the having drinks with a view at La Sombrita beach bar. Nearby, the four artists exhibiting that weekend adorned a giant white BAZARTE sculpture with their distinctive artwork. Some of the gorgeous jewelry by Mexican brand Majo Bracamontes. Salum glows at sunset as guests celebrate its grand opening. 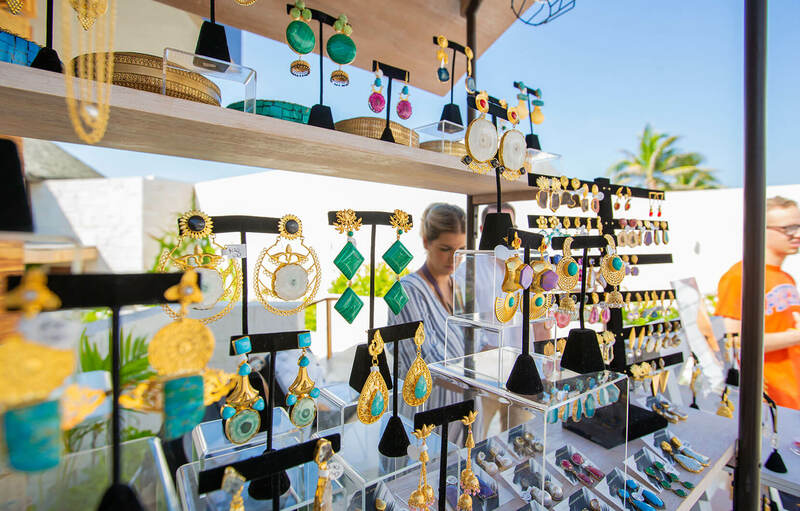 On Sunday, Bazarte continued with more opportunities to shop beautiful printed swimsuits, bejeweled sandals, hand-woven bags, elaborate jewelry, and gorgeous paintings, all made in Mexico. At the end of the day, a few notable influencers, including travel bloggers Brittany Xavier, Paola Alberdi of Blank Itinerary, and Argentinian actor Santiago Ramundo, completed painting the giant BAZARTE sculpture in celebration of such a wonderful weekend. For more about Bazarte, check out this video. 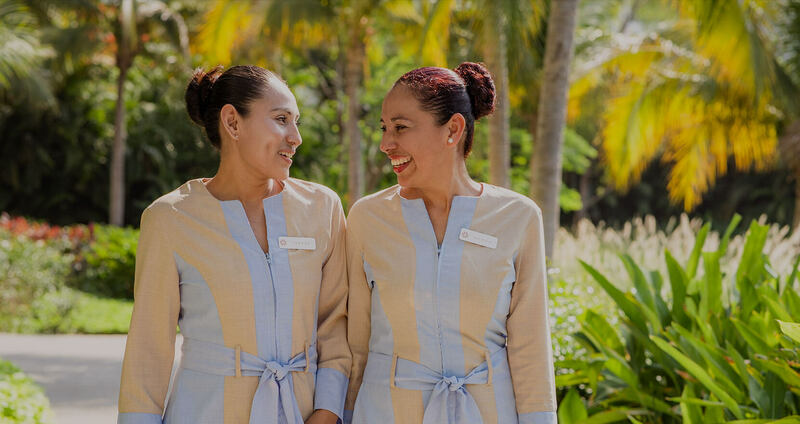 And stay tuned about future Bazarte events, coming soon to your favorite Vidanta Resorts.